Introduction. Technology Development for DNA Chips. 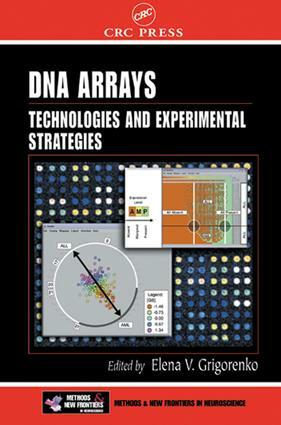 A System Approach to Manufacturing and Analyzing DNA Arrays. Nylon Platform: Pros and Cons. Electrochemical Detection of Biomolecules. Oligonucleotide Array Technologies for Gene Expression Profiling. DNA Microarrays in Neurobiology. Data Management in Microarray Fabrication, Image Processing, and Data Mining. Zeroing In on Essential Gene Expression Data. Application of High-Density Nylon Arrays for Analysis of Gene Expression in Different Experimental Models. Supplier List. List of Web Sites Related to DNA Arrays. Index.